Manicures and pedicures look great–until they don’t. When your perfect French tips start to chip away or your glitter nail polish begins to peel apart from your nails, nail polish remover becomes a necessity to keep your nails from looking ratty and unprofessional. It’s important to invest in a top-quality nail polish remover that effectively and completely removes even the most stubborn polishes without damaging your natural nails. If you’re looking for a new nail polish remover to use, read on the following nail polish remover reviews to discover the top rated best nail polish removers you can buy. This effective nail polish remover consists of pure acetone. The acetone in this formula is enriched by a blend of strengthening proteins, so you don’t need to worry about safely using it on your natural nails. 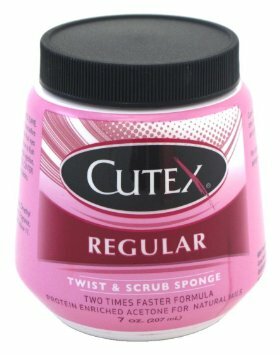 The nail polish remover from Cutex is an extremely fast and effective formula. If you want to remove a manicure, all you have to do is dip your fingertips into the container to dissolve the nail polish. For pedicures, just use the included sponge to effortlessly scrub away your polish. Many nail polish removers are extremely drying for your nails and the skin that surrounds your nails, which can lead to brittle nails and breakage as well as painful hang nails. This nail polish remover from OPI is designed with a non-drying formula that will not weaken or dry out your nails and skin. Although it is extremely effective and fast-acting to quickly and completely remove your nail polish, this remover is gentle. It will not stain your nails or the skin around them in order to leave your natural nails looking healthy, smooth, and strong. Maybe you have a nail polish remover that works great for removing standard polish from your finger and toenails. However, what about the times when you go to the salon to get gel polish, glitter polish, or acrylic nails for a special event? These types of manicures and pedicures are much more difficult to remove when the time comes. This nail polish remover, however, can remove even the most stubborn polish (including gel and acrylic nails) from your natural nails gently and quickly. It is a maximum strength remover that effortlessly takes off your nail polish or nail treatment without harming your natural nails. Designed for use on both natural and artificial nails, this acetone nail polish remover combines effectiveness and gentleness to create the perfect formula. 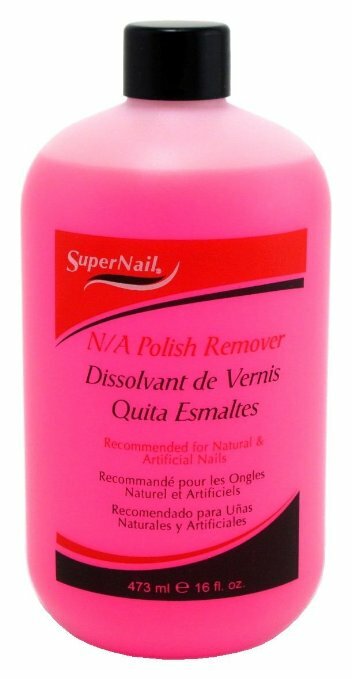 This nail polish remover works great on sculptured nails that can be difficult to clean and remove with traditional polish remover. It is extremely effective and fast-acting even for stubborn polish, yet gentle enough to be used on your natural nails without damaging them, weakening them, or causing breakage. This nail polish remover from CND Cosmetics combats the problem of traditional polish removers causing your nails and the skin around them to dry out. When applied to your nails, it reduces the dehydration of your natural nails and the skin around them. It also minimizes the appearance of whiteness on your nails and their surrounding skin. 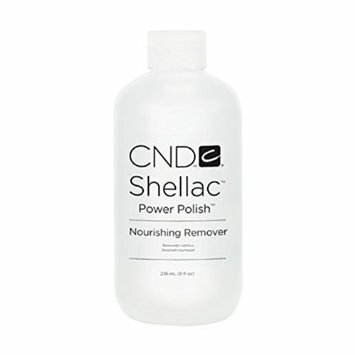 The nail polish remover is incredibly nourishing, but it is also very effective. It can be used to remove gel nail polish, regular nail polish, powder polish, adhesives, and acrylic tips from your nails without harming or weakening your natural nails. 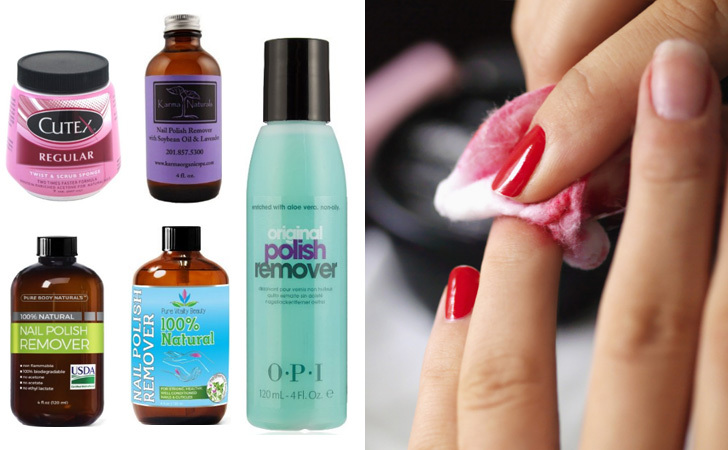 Nail polish remover can be extremely messy and a hassle to use. These cotton pad nail polish remover wipes eliminate the mess involved with the use of traditional nail polish removers and allow you to effortlessly wipe your nails clean without dripping acetone all over your bathroom floor. 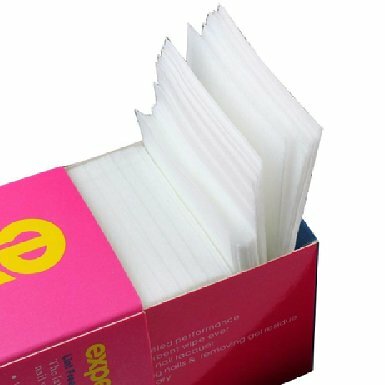 This box of nail polish remover wipes comes with three hundred twenty-five individual wipes. It only takes one wipe to easily dissolve and swipe away your manicure or pedicure. The wipes are even strong enough to quickly and effortlessly remove more stubborn nail treatments such as gel nail polish. This three-in-one, versatile nail polish remover from Zoya is the perfect solution to dry, brittle nails and stubborn polish. When applied to your nails, the gentle nail polish remover moisturizes, nourishes, an fortifies your natural nails in order to leave them feeling smooth, strong, and polish-free. When you use this nail polish remover, all you have to do is wipe your nails with a cotton ball saturated in the formula and the polish will instantly dissolve off of your nails. This polish remover also removes surface oils from your nails to keep them feeling and looking clean and fresh. Many nail polish removers consist of harsh formulas that include many synthetic chemical ingredients that can damage your nails and even be toxic for you to breathe. 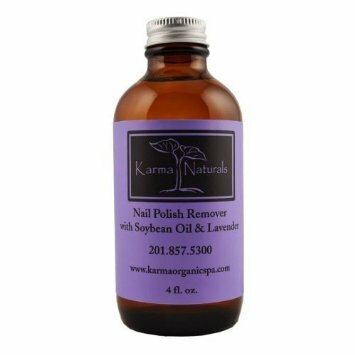 This organic nail polish remover from Karma Naturals is the perfect solution for beauty lovers who are bothered by the toxicity of standard nail polish removers. 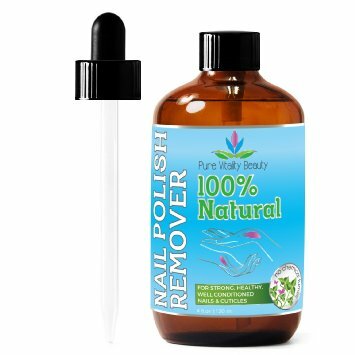 This polish remover has a non-toxic, vegan, organic formula that is one hundred percent natural. It is also extremely effective at quickly dissolving nail polish without damaging your natural nails. As a bonus, this nail polish remover, which is infused with nourishing soybean oil and lavender, has a light and lilting scent. Free from potentially damaging, drying, and irritating chemicals including acetate, ethyl lactate and petroleum, this organic nail polish remover is a one hundred percent natural formula that is gentle on your natural nails. Unlike many other natural nail polish removers that are only effective at removing the weakest polishes, this formula is extremely strong and can take off stubborn UV gel nail polish effortlessly. As an added bonus, it strengthens and moisturizes your nails while it dissolves your nail polish and removes your chipping manicure or pedicure to leave your natural nails looking and feeling smooth and strong. 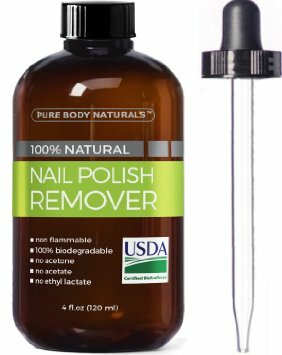 This nail polish remover from Pure Body Naturals is a completely natural product with a unique formula. It doesn’t evaporate instantly from your nails like many other ineffective polish removers. Instead, it stays on your nails and works to gently dissolve your nail polish. When you’re done with it, it can be easily washed off using just water. Infused with natural plant-based active ingredients, this nail polish remover will never dry out or weaken your nails. Instead, it revitalizes, strengthens, and hydrates your natural nails and the skin around them in order to leave you with healthy, beautiful nails and cuticles. An effective nail polish remover is a vital tool for any avid beauty lover to have. If you don’t feel like your current nail polish remover is doing the trick to fully remove your nail polish once it begins to chip and peel, there’s no need to settle for less. Use the list in this post to learn more about some of the best nail polish removers available and choose one that can defy all of your expectations when it comes to fast and efficient mani-pedi removal. If you don’t love these remvoers, also you can diy homemade nail polish removers. And here are some great nail designs you may love.